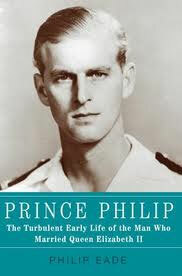 The recent publication of author Philip Eade’s biography of Prince Philip, the Duke of Edinburgh and husband of queen Elizabeth II, has brought into the news once again the intense interest on UFOs by the upper crust of British society. Prince Philip: The Turbulent Early Life of the Man Who Married Queen Elizabeth II was even inspired when the author looked into the possibility of writing about prominent British ufologists in the period following World War II. 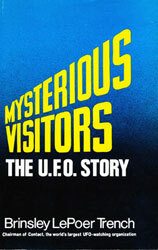 As reported in previous articles in this website about the Royals and UFOs, the Duke of Edinburgh’s interest in ufology, which included a subscription to Flying Saucer Review, the UK’s top magazine in the period between the 1950s and the 1980s, was spearheaded by his uncle Lord Louis Mountbatten. The Earl of Mountbatten was a famous Admiral of the Fleet who served as Supreme Allied Commander in South East Asia during World War II and was the last British Viceroy of India. He even investigated personally a UFO landing and CE-III right in his Broadlands Estate in Romsey, Hamphisre, in 1955 (all the relevant documents were posted in that story). Another key UFO player in Prince Philip’s entourage was Air Marshal Sir Peter Horsley, who served as Equerry to Princess Elizabeth and later the Duke of Edinburgh in the period between 1949 and 1956. The Equerry, now a senior aide to the royals, is a historical position that goes back to medieval times for the man who was in charge of the King’s horses, a key job in the days when horses were the main means of transportation and battle. As revealed in his 1998 autobiography, Sounds from Another Room, Horsley arranged for UFO witnesses to give their testimony at Buckingham Palace and, even more incredibly, stated he once met and talked at length with a man at a house in Ealing who claimed to be an extraterrestrial. Horsley’s military career included serving as Assistant Chief of Air Staff (Operations) and Deputy Commander-in-Chief RAF Strike Command, from where he retired in 1975. An unnamed senior Ministry of Defence (MOD) official told Eade, “how unfortunate that the public will learn that the man who had his finger on the button of Strike Command was seeing little green men.” But of course the alleged ET he met in Ealing was neither little nor green, but a highly cultivated human looking person. Whether he was truly an ET is impossible to know at this stage, but it’s highly unlikely that a military officer of Horsley’s rank and character would have made up such a story. January 18, 1979, which made worldwide headlines at the time. Just imagine the same exercise taking place in the U.S. Senate! 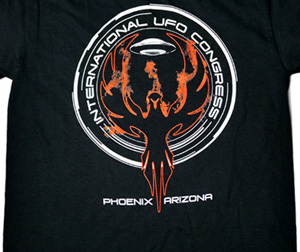 Decades before the term was invented, this was pure exo-politics—a 4-hour debate on the political and national security implications of UFOs and possible extraterrestrial activities on the upper chamber of a parliament of a major power with nuclear weapons and international prestige. It doesn’t get better than that and yet it really happened. For the full details of this historical event, we reprint below another of my classic articles written under the pseudonym of “A. Hovni” for a UFO Supplement in the long-defunct New York City daily The News World in the early eighties, when the story of the House of Lords UFO debate was still fresh. Other than adding illustrations, we transcribed the article exactly as it was published back on November 21, 1981. 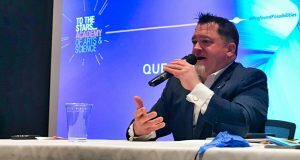 “It is with much pleasure that I introduce this debate this evening about unidentified flying objects – known more briefly as UFOs and sometimes as flying saucers. 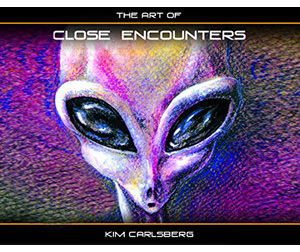 I understand that this is the first time the subject of UFOs has been debated in your Lordships’ House, so that this is indeed a unique occasion.” With these words, his noble lordship, the Earl of Clancarty, initiated on the evening of January 18, 1979, a historic debate in Britain’s venerable House of Lords, over a “question” previously requested by him. 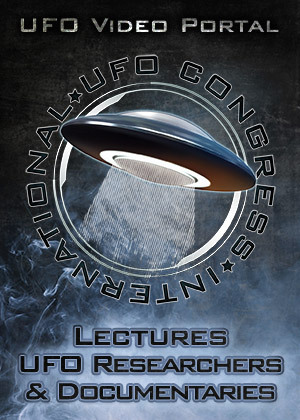 The debate lasted almost four hours, and not less that 14 lords stated for the record their pro and con positions concerning UFOs, and specifically , Lord Clancarty’s motion that Her Majesty’s initiate an “intra-governmental study” of UFOs, as well as his suggestion to set up a UFO Study Group within the House of Lords to look further into the matter. It was reported that within 48 hours of this debate, every single copy of Hansard—the official Parliamentary Debates records—with the UFO transcript was sold out. Lord Clancarty was certainly the right man at the right place. Better known as Brinsley LePoer Trench, he was described by The Illustrated London Times as “the one uncontroversial personality, the ‘elder statesman’ of the British flying saucer movement.” Among other things, Clancarty has published seven popular books of UFOs, and was one of the founders and early editor of Flying Saucer Review, perhaps the oldest and most prestigious publication in the field. 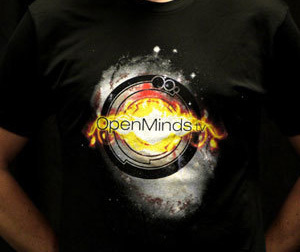 Clancarty was also the founder of Contact International, a British UFO research group, and he is currently the vice president of BUFORA, another UFO organization in England. Following Clancarty’s 20-minutes presentation, Lord Trefgarne, a young and experienced pilot speaking for the Tories, gave a skeptical view of the UFO problem, only to be followed by a strong denunciation by the Earl of Kimberley, a former chairman of the military committee of NATO, of the international UFO cover-up. The debate would still go on for another two hours. 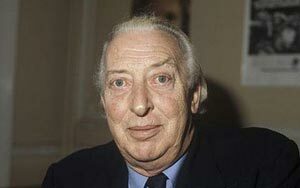 Some peers, such as Lord Hewlett, complained the debate had “precious little to do with the facts,” and declared his mission was “to explode the myth” of flying saucers. Others like Lord Gainford, explained that “I saw a UFO a little while ago,” and reassured Lord Clancarty that he would “enjoy volunteering for working in a UFO information centre.” Before Clancarty’s closing remarks for the night at almost 11 p.m., Lord Strabolgi, the peer speaking officially for the Ministry of Defence, sent a clear signal to the effect that Her Majesty’s Government would not start an official UFO investigation, nor would the government open its UFO files to the public because of Britain’s tight Official Secrets Act. 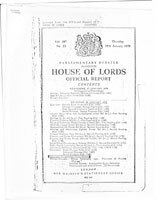 An annotated, illustrated full transcript of The House of Lords UFO Debate, edited by John Michell, was later published by Open Head Press in London. Yet the UFO enthusiasts in the world’s oldest and most prestigious parliamentary body would not loose the battle, either. 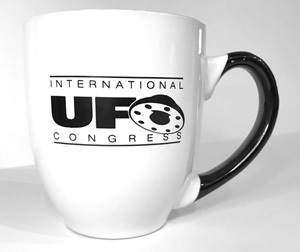 Out of the 297 peers in the House of Lords, 25 formed a UFO Study Group, where a number of UFO experts from around the world briefed the lords throughout late 1979 and 1980. Besides the 25 members of the Study Group, other peers were invited to the sessions if they wished to attend. 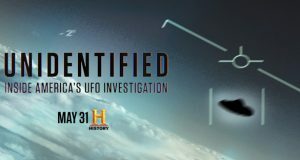 Some of the internationally recognized UFO experts that briefed the Group from their particular field of expertise, were: Major (Ret.) 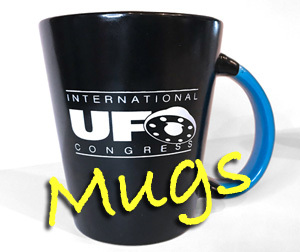 Colman von Kevivzky, director of ICUFON; the British historian Raymond Drake; Charles Bowen, the editor of Flying Saucer Review; Antonio Ribera, Spain’s foremost ufologist, and Roberto Pinotti and Major (Ret.) 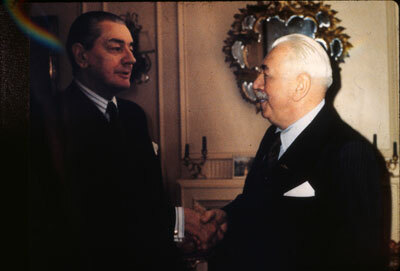 Hans Petersen, his counterparts in Italy and Denmark. Major von Keviczky, for instance, presented substantial evidences both in terms of photographic analysis and declassified U.S. military and intelligence documents on UFOs, to justify the establishment of a World Authority for Spatial Affairs (WASA Project) to deal with the “endangered international situation” posed by UFOs. 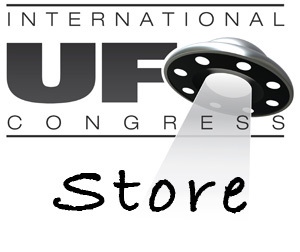 The Study Group supported ICUFON’s motion to call for an end of the UFO secrecy through the release of military documents on the UFO level only, a request that was ignored in Britain and elsewhere. 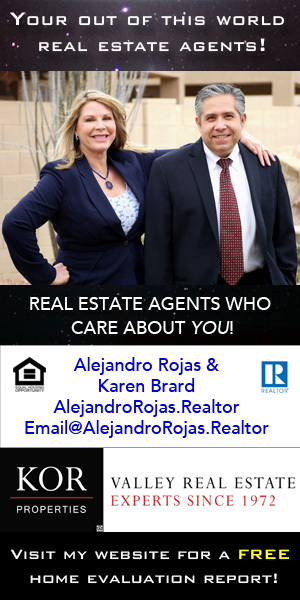 “The trouble arises from the fact that the problem is wider than the yardsticks used to measure it,” he said. Roberto Pinotti from Italy also gave a well-documented lecture. 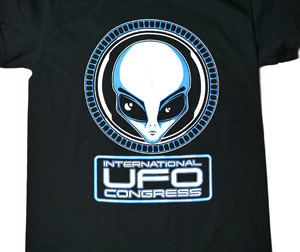 Pinotti is the founder and president of the Centro Ufologico Nazionale (CUN) with headquarters in Milano, and his latest and perhaps most interesting contribution to ufology was that he obtained a number of military UFO reports from the Italian Ministry of Defense. Incidentally, NATO’s Italian military forces use standard UFO reporting sheets quite similar to those used by the Pentagon. More about the Italian documents on a future article in these pages. Admittedly, the House of Lords’ UFO Study Group has been pretty quiet lately. 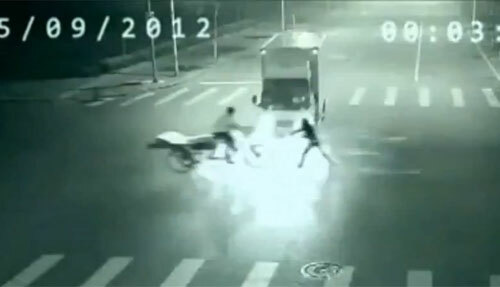 Unfortunately, the initial thrust of the group seems to be slowing down, and the enthusiasm is perhaps drying out by the lack of official response or encouragement from governments around the world. There is also the undeniable fact that most day-to-day State businesses in Britain are discussed next door at the House of Commons, and the Study Group does not represent the full House of Lords, either. 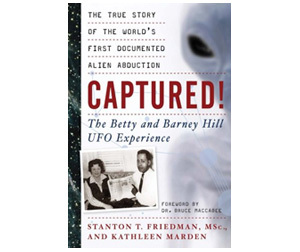 A somewhat similar parallel exists in the American history of UFOs, when a number of top scientists briefed the House Science and Astronautics Committee in 1968. 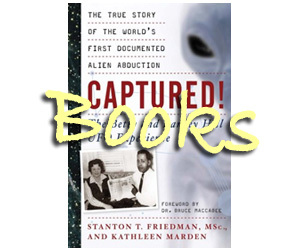 Although the majority of the scientists urged the Congressmen for more research and an open policy towards UFOs, the official government machinery was preparing then its final blow against the saucers with the University of Colorado’s Condon Report. 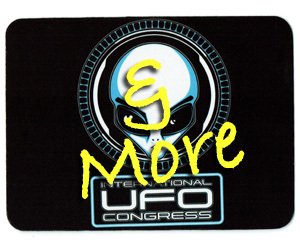 Just as the Congressional Hearings ended, so did any further interest on UFOs in Capitol Hill up to this day. 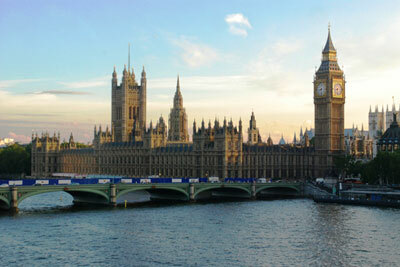 Will the same thing happen in the venerable House of Lords, guarded by the Victoria Tower on the side of the Thames? Only time will tell, yet there is a difference. Unlike the U.S. Congress, the House of Lords has among its peers a professional UFO writer and researcher, the Hon. Brinsley LePoer Trench. We are sure that no matter what are the odds against it, this gentleman will keep the subject alive in the House. And since membership in the House is for a lifetime, the Earl doesn’t have to campaign for UFOs at the polls. After I sent him a copy of this article, Lord Clancarty responded to let me know that the House of Lords UFO Study Group was still active and it remained so for several years in the 1980s. Eventually it did fade away as the Earl aged and finally passed away in 1995. By that time, however, he had passed the UFO torch to a formidable personality, Lord Peter Hill-Norton, a retired Admiral of the Fleet and former Chairman of NATO’s Military Committee in the late seventies. It was, in fact, after retiring from this top military position that the admiral was made Baron Hill-Norton and joined the House of Lords in 1979. This was right after the debate and there can be little doubt that his ufological apprenticeship took place at the House’s Study Group. 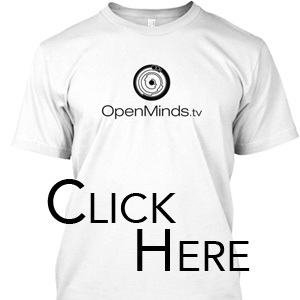 We profiled the exo-political activities of Lord Hill-Norton in the recent article in this site, “British Admiral was tireless UFO advocate at the House of Lords”, based on a significant number of documents recently released by the British Ministry of Defence. Although Lord Clancarty and his allies failed to convince the MOD to release its files back in 1979, the Ministry finally revoked its policy in 2008, and has since declassified thousands of UFO-related documents. Despite his controversial private life, Lord Kimberley seemed very well informed about the UFO situation. When he mentioned that “a pact” existed between the USA and the USSR to deal with UFOs, this was actually true and not a conspiracy theory. 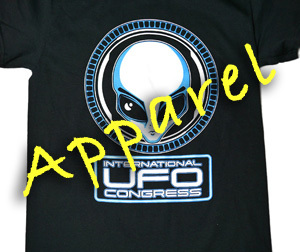 As mentioned in a previous article in this site about UFOs sighted at nuclear weapons installations, “Soviet nukes and UFOs”, an Agreement on Measures to Reduce the Risk of Nuclear War between the United States of America and the Union of Soviet Socialist Republics, was signed on September 30, 1971 by Secretary of State, William Rogers, and Foreign Minister, Andrei Gromyko. In that article we quoted verbatim the section in this Agreement dealing with “unidentified objects” that could trigger a nuclear reaction and how the parties should notify each other before undertaking any aggressive action. 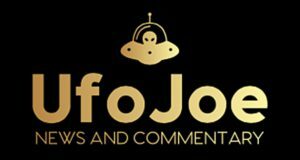 Most of the players of the House of Lords UFO Debate and those who participated in the Study Group are now gone, but not all. 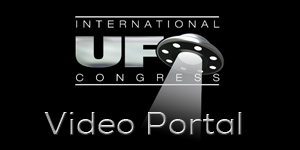 One of the speakers at the all-party UFO study group, the prominent Italian author and researcher Roberto Pinotti, is still very much active and he will be in fact be one of the speakers at our forthcoming International UFO Congress next February. You can download a PDF file of the entire official Hansard transcript of the 1979 House of Lords UFO Debate here.